Something Wicked This Way Went: Whatever Happened to the Creepy Circus? Many, many moons ago in my misspent youth, I worked for a company that rented carnival equipment (among other fringy sorts of enterprises including a retail magic shop, an occult bookstore, a magazine on strange phenomena), which brought me into frequent contact with folks that are somewhat dubiously termed “Carnies”. By and large they were relatively genuine and friendly, albeit on the gruff side. Recently, in reminiscing about my teenage years, I fondly remembered a gentleman, let’s call him George (his real name was actually something equally mundane), that handled logistics for our central warehouse. George was the most heavily tattooed person I’d ever met. I don’t think he had a patch of skin to spare. He was also one of the most effective and efficient managers, not to mention good-humored people I ever had the pleasure to deal with. He changed my view of the vaguely menacing carnie, popular in fiction. He was just a working guy, and made me reconsider the significance of the circus in the annals of monstrosity. Pick up any book on college admissions essays, and you’ll probably read at least one example written by somebody who ostensibly ran away with the circus for a year. Those always bothered me, since the utility for the average high school senior who had most decidedly not done so was a bit questionable, and raised the bar for innovative biographical sketches just a little too high. George ran away with circus. And he stayed with the circus for twenty years. Don’t get a lot of those, do you Princeton Review? This was of course back in the glorious 1980’s (ancient history, I’m told), predating the artsy-fartsy Cirque de Soleil style circus, when outside major urban centers most folks’ reference point for a circus was likely an annual county fair. By that time, the circus had an established reputation as a particularly creepy event, a liminal spectacle that for many decades was our introduction to the cryptozoological, the paranormal, and the downright bizarre world inhabited at the edges of civilization, that would breeze into town for a week or two, then vanishing into the ether, leaving only trampled grass, a vague wiff of cotton candy, and the unsettling sense that the universe was a truly strange and dangerous place. It was like a UFO had dropped Las Vegas on your doorstep for a few nights, filling suburban and rural America with an acceptable level of thrills, screams, and debauchery for the briefest of moments before vanishing like a devil at the crossroads who just sealed the deal. Recently, I took my five-year-old to his first three-ring circus, and he was, as befits the modern kindergarten sophisticate, distinctly unimpressed. And I hate to admit, particularly after fond memories of sneaking out and strolling a hectic midway as a tween (before there was such a demographic category) with a boyhood crush and feeling like we were living on the edge, I agreed with him. The wild animals seemed domesticated. The clowns seemed, well clownish. Even the tightrope didn’t seem that high (I’m talking psychological impressions, with all due respect to tightrope walkers. I have trouble walking a straight line on the sidewalk). Even the vendors were pleasant and non-aggressive. In short, the circus had been tamed. By way of contrast, a few years ago I went to the famous Coney Island Circus Sideshow (an homage to the historical carnival sideshow freak), where performers, from the more traditional sword swallowers, fire eaters, snake handlers, and as their promotional materials explicitly state, a cast of those “born different” titillate vicarious thrill seekers in a dark and dingy venue near the boardwalk. I’ll admit it was a little odd and low budget, but somehow managed to seem edgier, like we were peeking behind a curtain to see things no parent would ever approve of. I realized that the circus was never completely about the trained elephants, the twenty clowns in a car, the trick-riding, or the human cannonballs. Those activities were about talented people doing dangerous things to amuse us. The appeal of the circus, for those of us who grew up going to the good old fashioned Midwestern style travelling carnival, was the otherworld it represented. Running the gauntlet of carnies hawking their games and the glorious prizes you could win, peeking into the sideshow tents that promised a glimpse of something truly horrifying or stupendous, riding the rides that had only been bolted together a day before. It was about feeling daring and dangerous in a world of simulated horror, not in the escapist scary movie sense, rather the horror of everyday life – people trying to take your money, biological monstrosities lurking behind every tent-flap, strapping oneself into poorly understood machines and hurtling about, and though you couldn’t quite glimpse it, the sense that underneath it all was something sinister, yet wonderful. There was a roughly one hundred year period (mid 19th-20th century) in time, where the circus was something truly, and stupendously monstrous, now long gone and subtly replaced by sanitized and sedate versions of the anarchic carnival, blockbuster mega-theme parks, and nostalgic three-ring displays of performance art and athleticism. 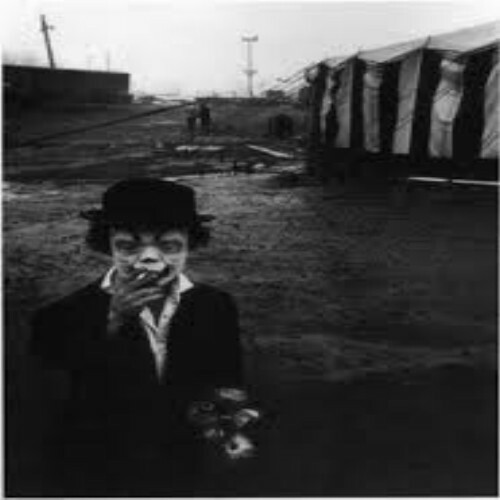 My recent reminisces led me to wonder how the circus became creepy, and where that creepiness went? Although a few scholars (Greek and Roman Classicists scrambling for a paycheck, I assume) trace the origins of the circus (Latin for “ring”) to the Roman Circus Maximus with its mock battles, gladiatorial combat, and feeding of various folks to exotic beasts gathered from the four corners of the empire, the Circus Maximus was more about competition, power, and grandeur (akin to a Knicks game), lacking a certain intimacy invited by the circus. Most historians associate the emergence of the modern circus with English cavalry officer Philip Astley (1742-1814 A.D.), who was the first to combine horseback-riding stunts, acrobats, and clowns in a specially designed space. The early emphasis of most circuses was on horsemanship. This is also the origin of the thenceforth standard 42 foot of the three-ring circus (that being the minimum amount of space needed for a horse to canter). The circus quickly spread throughout Europe and to the newly minted United States (George Washington is said to have attended the travelling Hughes Royal Circus in Philadelphia in 1793). Up to this point a circus, although recognizable to us modern types, was more like a variety show. Along comes Phineas Taylor Barnum, and his truly American invention of the travelling freakshow as an integral part of circus life, offering up human and animal aberrations for our pleasure and amazement. And I think it’s safe to say, this is where things turned creepy. Giants, dwarves, mermaids, snake-people, unicorns, restless natives, human pretzels, and wolfmen – our shared cultural archetypes of monsters are the stuff of legend, tales told around a campfire, but a circus sideshow offered the opportunity to experience them firsthand, and while P.T. Barnum is famously quoted as saying “people want to be humbugged”, they in fact are looking for experience and tangibility. We want to be part of the spectacle, a protagonist in the story, and to say “I saw”. A monster is all the more monstrous having been seen. The old folks may talk about the hairy Wildman rumored to lurk in the wood at the edges of town, but nothing compares to the visceral shock of finding that suggestive footprint, and the sideshow is that footprint. We are removed from humdrum reality and transported to the limbo in which monsters and myths substantiate themselves. In this sense, the Cardiff Giants, Fiji Mermaids, and goat-like unicorns, which may very well have been assembled in a workshop, performatively stand-in and solidify our faith in the uncanny. We know the representation they offer us may not be true, but they offer the possibility of truth, an explanation for the inexplicable, ever elusive in a world filled with anomalies. Circuses are places where bodies do extraordinary things, and extraordinary things are done to bodies. The voice, whether talking or singing, takes second place to more visceral forms of sensation and expression – the scream, the roar, provoked by the sight of something Awe-ful or amazing. Humans do things that only animals can do – balance, fly, carry heavy weights – human bodies are subjected to inhuman treatment, and animals show human intelligence. Food is excessively large or sweet, noises are loud and painful, smells are intense, colours are bright, and insincerity and violence are masked by a red nose (Parker, 2011, p556). The transience of a circus lends it a fearsomeness that bolsters its monstrous credibility and forces us into begrudging credulity. Like most monsters, it is rarely seen, riding into town in the dark of night, a small city appearing as if from nowhere like Brigadoon, inviting us to chase, and then just as quickly fading away, making us wonder if it was every really there at all. Monsters are at their scariest when they retain the capacity to make us doubt our own senses, to wonder whether we saw what we saw, or heard what we heard. And where better to confront such horrors than an institution that is condemned to an unnatural existence, filled with strange and elusive folks and arcane codes of conduct. The circus is the natural home of the liminal. Liminality is the magic circus, the land of total loss of meaning. It’s where you can meet death. But it’s also where you can be transformed to resurrection to a new life. This place without an observer, this pause without an interval, is the event where you happily lose your footing – confusion, lack of orientation, like what you have in a play. Liminality is a kind of fever which leaves the individual totally exhausted, with the possibilities of total freedom or being an automaton, a living corpse. As all religions learn, liminality is a terrible place, a place of death, from which you may not return (Lykke, 2003, p84). The recent contemporary resurgence of the freak show (generally independent of an actual circus) captures a little of the symbolism of the 19th-20th Century sideshows, but not the essence, relying more on our narcissistic fascination with our ability to re-invent our psychological and biological selves. Whereas, the creepiness of the circus has been distilled into a tame, family-friendly amusement. Where once the circus was raw, it is now lightly baked. Twenty-first century western culture is fascinated with processes of self-transformation and self-invention, be it the disciplining of the body within health discourses and institutions, the fantasies for self-creation enacted in television make-over programs and self-help texts, or the obsession with plastic surgery and changing body shapes demonstrated by the tabloid media. The contemporary freak body is in this way just like the normative model of the body found in 21st-century culture, a plastic and self-made construct, constantly transforming and re-inventing itself. The wonder and anxiety generated by the body of the self-made freak arises not from the randomness of its physical difference, as responses to the “born” freak did, but at its celebration of different capabilities and aesthetics: the face of Michael Jackson, the body that has transformed itself into that of a lizard or cat, the geek who eats bugs or bites the heads off live chickens, and Kamikaze Freakshow’s human pincushion all represent the modern body’s capacity for self-creation in a way that challenges cultural norms of beauty and accomplishment (Stephens, 2005). Lykke, Steen. “Liminal Spaces and the Nomad”. Poiesis: A Journal of the Arts and Communication 5 (2003), p80-93. Parker, Martin. “Organizing the Circus: The Engineering of Miracles”. Organization Studies 32:4 (April 2011), p555-569. Stephens, Elizabeth. “Twenty-First Century Freak Show: Recent Transformations in the Exhibition of Non-Normative Bodies”. Disability Studies Quarterly 25:3, 2005. Hospitals became identified with careers for aspirant child molestors/serial killers? Serial killers became TV heroes? Ordinary wholesome everyday The Waltons style life turned out to’ve been far more creepy than circuses all along? I envy you your misspent youth rentin’ carnival equipment floggin’ magic props occult books workin’ at a magazine on strange phenomena. I spent the first seven years of me life livin’ among the desperate flotsam an’ jetsam of what many take for human scum an’ trash but after ’em everyone else seemed two or even one dimensional in comparison if not out an’ out phoney. Just readin’ your brief but sympathetic description of the walkin’ tattoo George an’ his efficiency as both a manager an’ a human being makes me think if you ever write a novel based on that period of y’life I’d been extremely int’rested in readin’ it. It was definitely a strange time in my life. My crash course in the weirdness of the universe came with one of my designated duties – sorting through the editor’s correspondence to determine which were from those who simply sounded insane and those that were truly raving lunatics. Tends to broaden one’s perspective on the boundaries of reality. That stuff about the liminality of the circus reminds me of Paul Plass’s exploration of the Roman arena in ‘Games of Death in Ancient Rome’. There’s something about blurring the boundary between the safe and terrifying that can send a shiver up the spine while also enthralling, and I guess taking away that unsafe part also wipes out the appeal. Very true. What would bungee jumping be, if there weren’t at least the remote possibility that the rope would break? My argument is that the workplace is the modern-day circus. I assure you I come across Giants, dwarves, mermaids, snake-people, unicorns, human pretzels, and wolfmen everyday. So why pay money to go to a caged-up dark lava-lamp selling place?